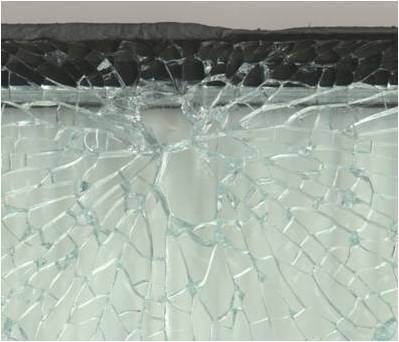 As published in October’s edition of Glass and Glazing Products, Phil Brown, European regulatory marketing manager at Pilkington UK, looks at the origins of glass breakages and best practice for identifying causes and providing solutions. Television viewers love detective shows. From Victorian murder mysteries to brooding Scandi noir. While investigating a glass breakage may not be as gripping, it is important for customers, clients and building occupants that the cause is identified and a solution found. Like any good detective, it pays to ask questions about the breakage. Knowledge of activities taking place in or near to the glass, any recent unusual events or changes, and remedial or maintenance work on site can all give a clue as to what may have occurred. Locating the origin of the breakage is also vital, as it will contain crucial evidence. It’s almost the equivalent of finding a fingerprint at the scene of the crime! The glass should be examined from both its surface and its edge to gather as many clues as possible. A magnifying glass is essential for examining the glass, both on the surface and looking through the edge. The break pattern should be inspected to hone in on the failure origin. From the surface, the source of a fracture or breakage can sometimes be found by identifying the point of branching - occasionally seen as cat’s eyes (two characteristically shaped pieces of glass). Keep an eye out for these, as they are a tell-tale sign of the origin. Inspecting the fracture area and searching for rib marks and hackle lines, should also lead back to the failure origin. When looking at the edge around the fracture, the presence of a highly polished mirror region can provide an estimate of the stress level in the glass at the time of fracture. If the glass that has broken is toughened, then the glass detective may be unfortunate in finding that most of the fragments have fallen from the frame and ended up on the floor. There, it’s a case of getting down on your hands and knees to search for the fragments containing the origin. There could be a number of causes of glass fractures, including impact, edge damage before installation, poor installation, poor design, inclusions in the glass and thermal breakage. Some fractures are easier to detect than others. For example, thermal breaks typically run from, and are perpendicular to, the edge of the glass. Others may be more difficult to identify without viewing under a microscope in a laboratory and, if an inclusion is suspected, may require subsequent chemical analysis. The mysterious case of the glass breakage is unlikely to feature in a box set any time soon. However, the clued-up glass detective can help to establish the likely cause of fracture which can play an important role in settling disputes in the supply chain and agreeing solutions.